Christ Church, Jebel Ali. This is our link church in Dubai. Contact us if you are interested in knowing more about St Helena's, or if you have any questions about our church. The St Helena's Luncheon Club met for their Annual Christmas Lunch on December 5th. A full house enjoyed a delicious lunch accompanied by carol singing. The Luncheon Club is now a well established feature of the Church. it meets (usually) on the first Wednesday of each month, apart from mid Summer, and membership is open to all. 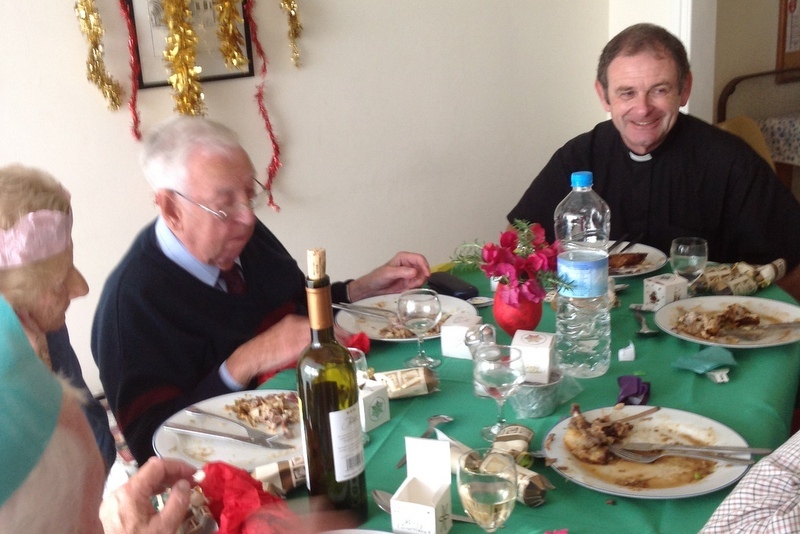 For several more photos of this event, see St Helena's Luncheon Club Christmas Meal. In this part of the world we are very used to seeing the kind of woodcut nativity scenes that form the illustration of this Pastoral Letter. Some of us sometimes long for the familiar north European symbols and images of Christmas such as holly, ivy, mistletoe and spruce trees. But, surely, we have to admit that there is something incredibly appropriate about using olive wood to make these nativity sets.